For over a century, Baylor University has served as one of the various educational institutions contributing to Waco’s reputation as the “Athens on the Brazos.” Constructed to house the university’s administration, Pat Neff Hall came to serve as a symbol of the university’s legacy and tradition. 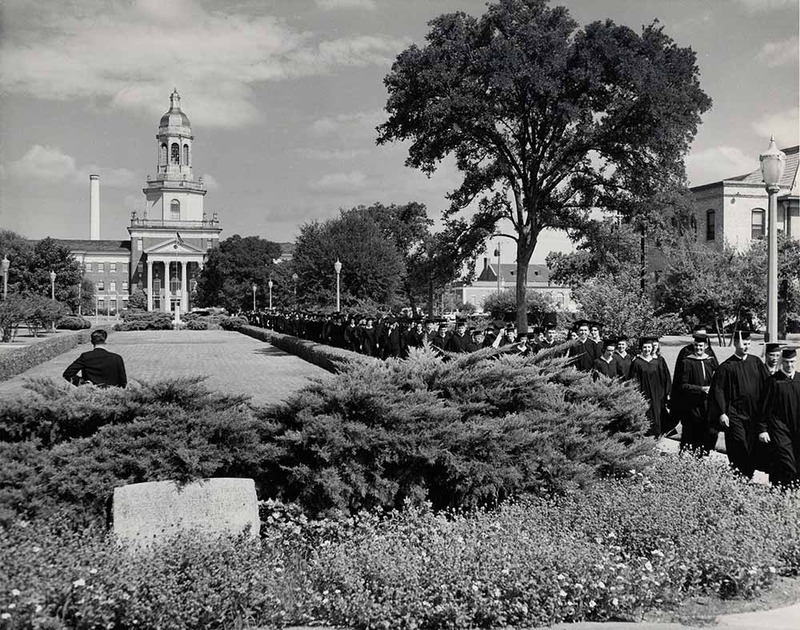 Despite the economic uncertainty of the 1930s, enrollment at the nearly century-old Baylor University rapidly continued to increase. The large influx of students under the presidency of former Texas Governor Pat Neff led to overcrowded classrooms and dwindling faculty space. Thus, when the General Education Board, a New York-based philanthropic organization dedicated to supporting higher-education institutions, offered $50,000 for the construction of an administration building to free up classroom space, the university seized the opportunity. 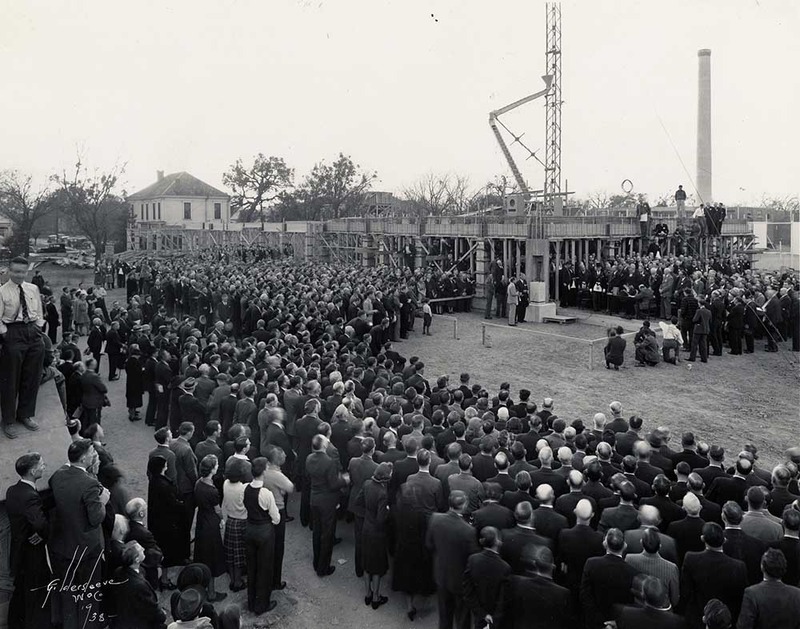 On December 7, 1938, the university held a Masonic cornerstone-laying ceremony to mark the beginning of construction on the new building. The architectural firm Birch D. Easterwood and Son designed a 46,000-square-foot American Georgian-style structure, which cost around $250,000 to complete. 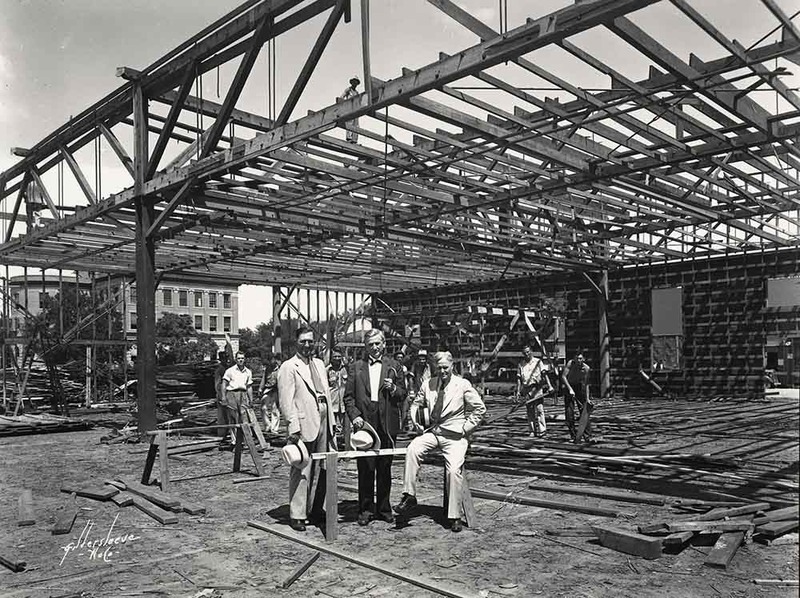 Workers finished construction on the building in 1939, although it was not dedicated until February 1, 1940, on Founder’s Day, the day on which the university celebrates its founders and commemorates the anniversary of its charter. One of the building’s most distinctive features today is its gold roof which can be seen from various points throughout the city. Yet the roof was originally stainless steel, and remained so for many years. At the time of its construction, it was only the second stainless steel roof in the entire nation. The university added gold leafing in 2000. Within the tower lies another famous aspect of Pat Neff Hall: the carillon. 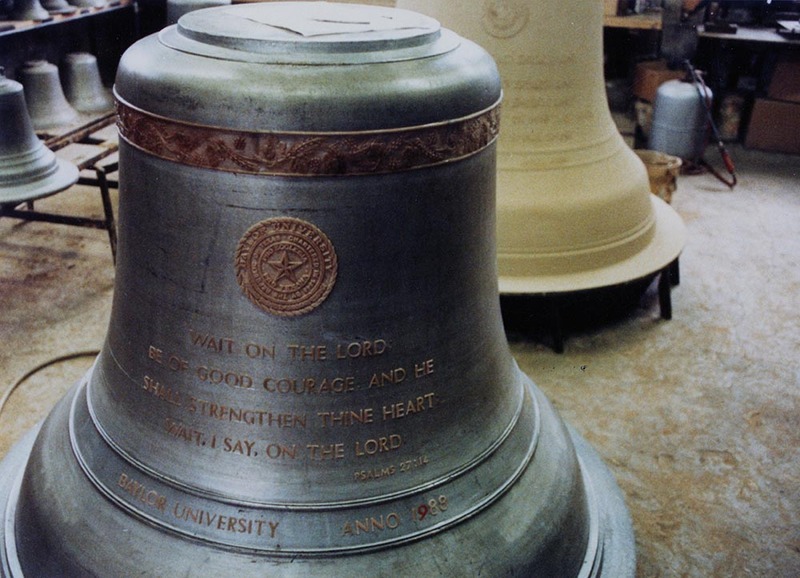 In December of 1939, the set of twenty-five chimes donated by trustee Thomas Cullen rang out across campus for the first time with the hymn “Praise God from Whom All Blessings Flow.” The bells inevitably wore out and in 1988 were replaced by the current forty-eight-bell carillon donated by Regent Emeritus Drayton McLane. 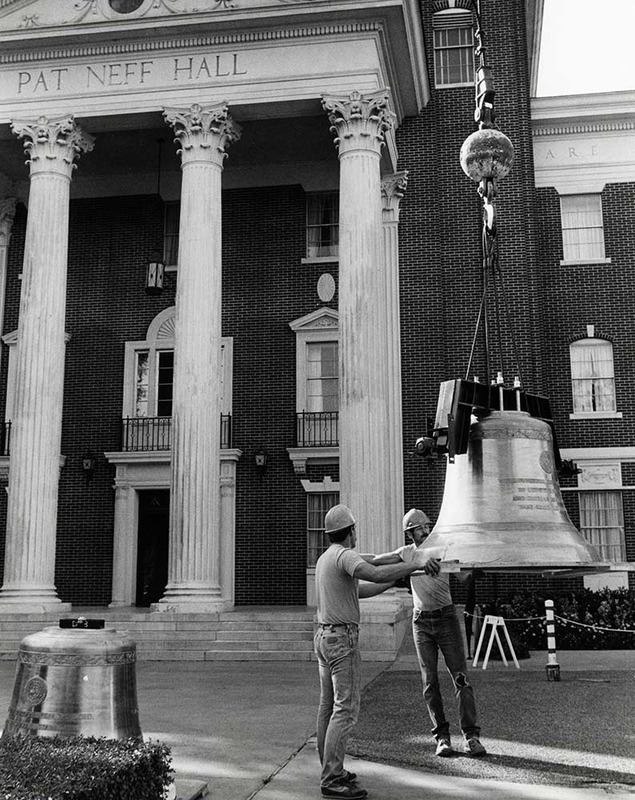 The new bells were constructed in France and, after a shipping mishap which sent them to Mexico was remedied, were dedicated on November 4, 1988. 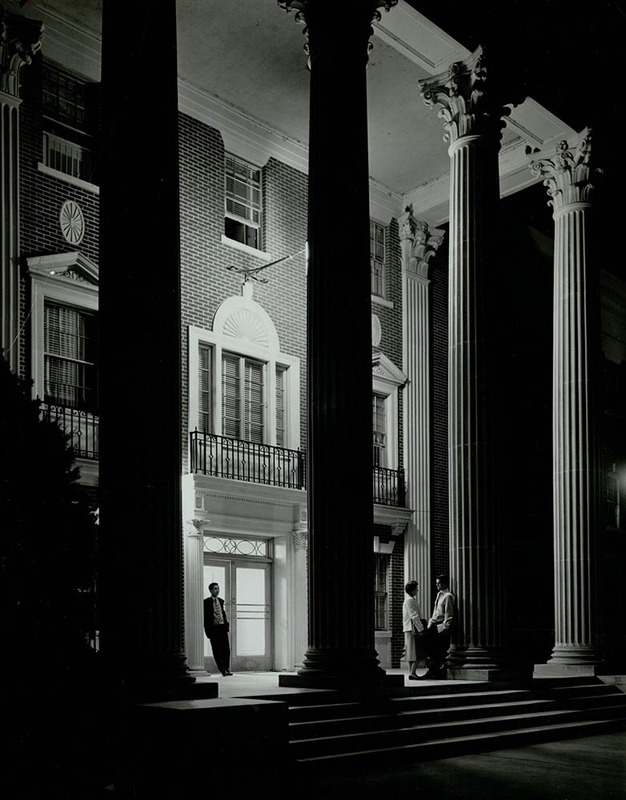 In addition to fulfilling its main function of housing the office of the president and other administrative officials, Pat Neff Hall has come to serve as a center of Baylor tradition. The practice of lighting the hall up with green lights following an athletic win began in 1978 and continues today. Perhaps the most widely recognized use of the hall is its prominent placement on the university institutional mark. 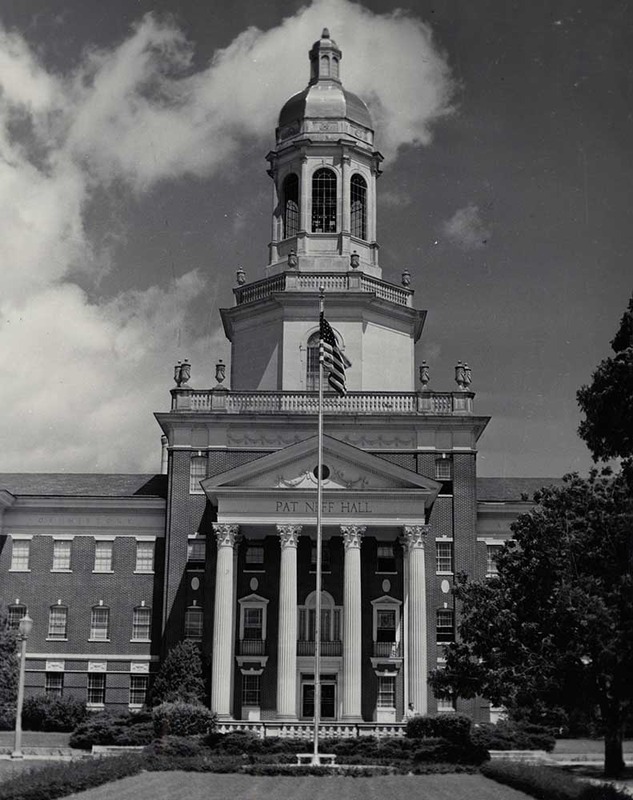 Used for all official communication purposes, the symbol featuring Pat Neff Hall serves as a testament to the university’s legacy, tradition, and commitment to education. 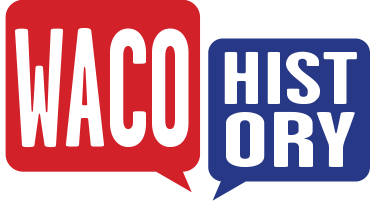 Amanda Sawyer, “Pat Neff Hall,” Waco History, accessed April 25, 2019, https://wacohistory.org/items/show/105. Norman, Amanda. 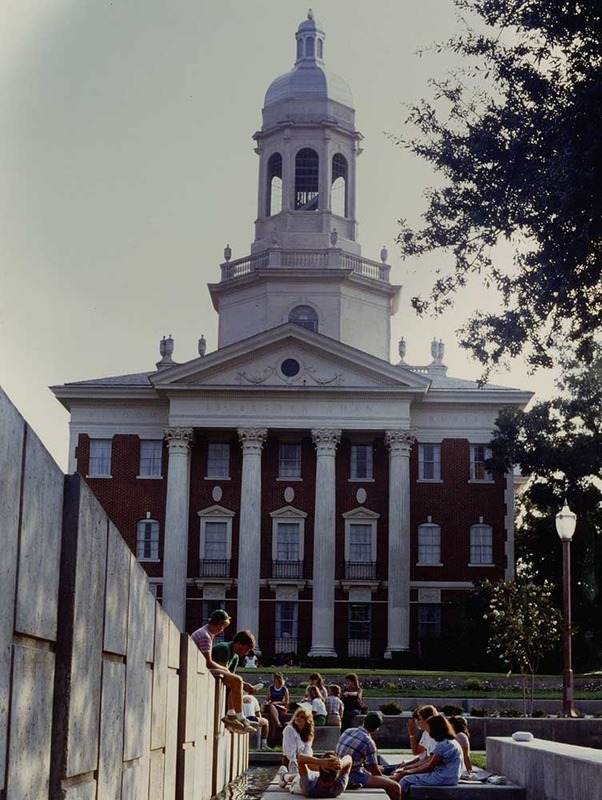 “Texas Over Time: Pat Neff Hall, Baylor University, Waco.” The Texas Collection, blog. November 10, 2014. Accessed July 14, 2015. “Symbol History.” Baylor University Graphic Standards. http://www.baylor.edu/graphics/index.php?id=82353. Accessed July 14, 2015. 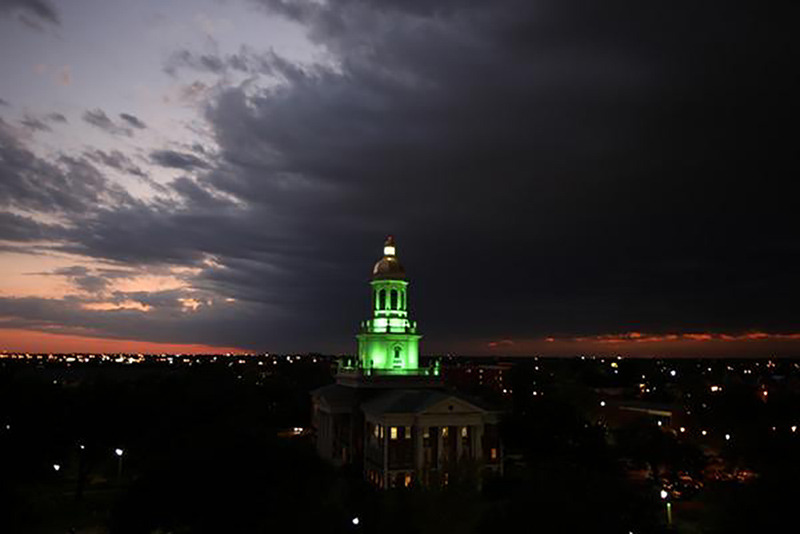 “The McLane Carillon.” Baylor University. 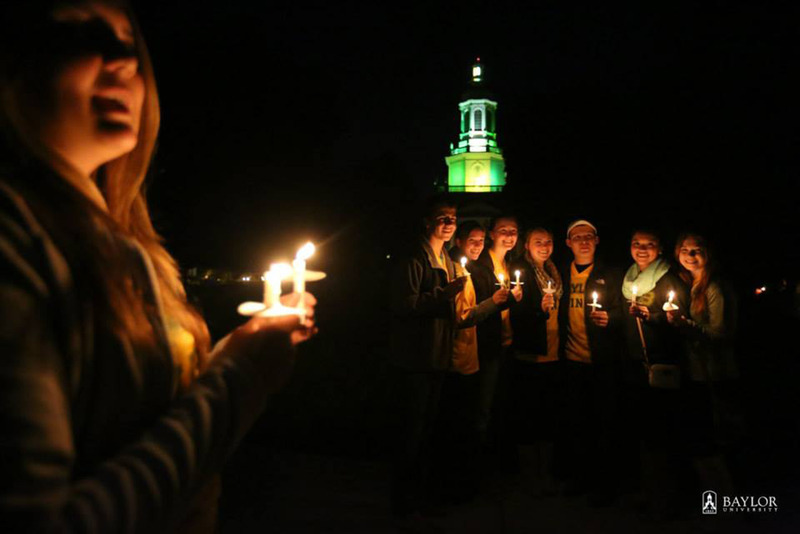 http://www.baylor.edu/about/index.php?id=859200. Accessed July 14, 2015.